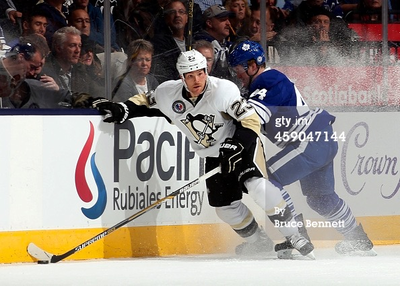 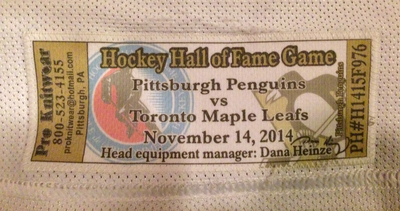 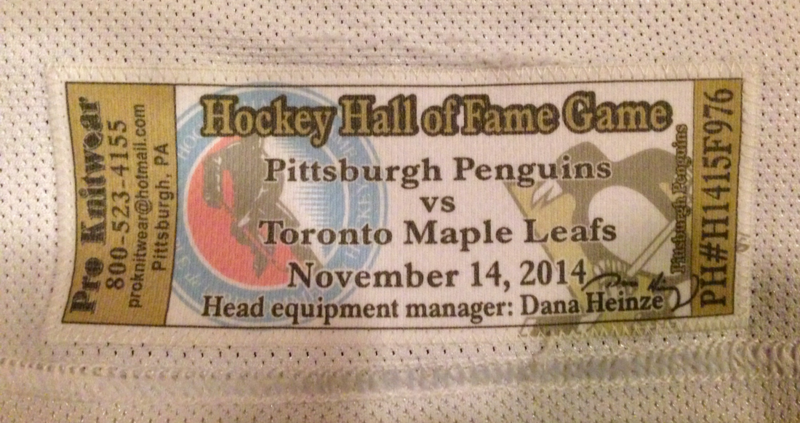 On November 14, 2014 the Penguins visited Toronto for to play the Maple Leafs in the annual Hockey Hall of Fame Game. The Penguins skated to a 2-1 victory over the leafs. 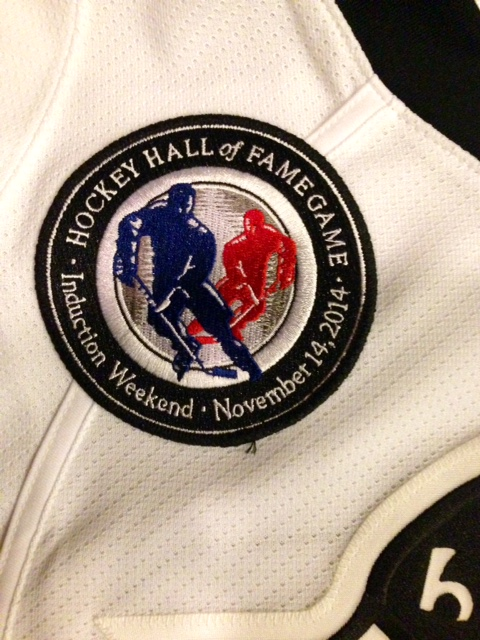 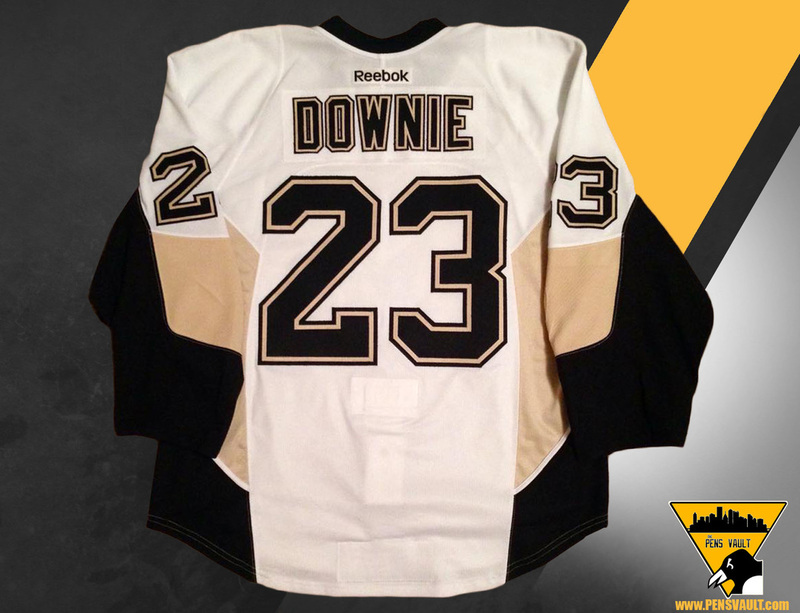 Downie wore this Hall of Fame jersey for the game in it's entirety. 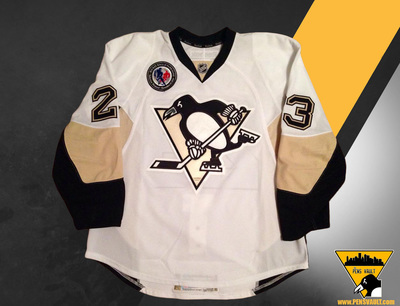 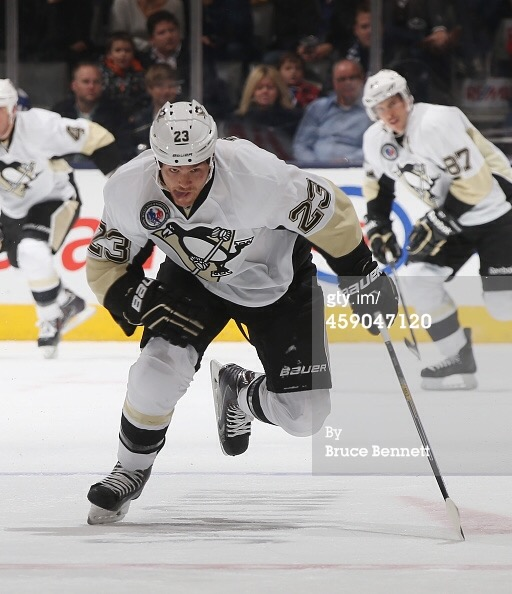 The pesky Penguins winger picked up 2 penalty minutes and registered 12:54 in ice time.